Meall Dubh is a traditional stone built croft cottage, recently renovated to modern standards. The cottage has all modern amenities including broadband internet, with 2 log burners and plenty of heating, is a really cosy and comfortable place to stay in any season or weather. In less than 5 minutes' walk from the cottage you are on Raffin's own rocky beach. If you are lucky you will catch sight of an otter or basking shark,or even dolphins. Alternatively, you can walk or cycle down the quiet single track road to Stoerhead Lighthouse to look across to the Outer Hebrides, or view the magnificent sunsets. This is a well known spot for wildlife watching (whales, dolphins, basking sharks, birds, otters), and for walking to see the famous Old Man of Stoer sea stack. 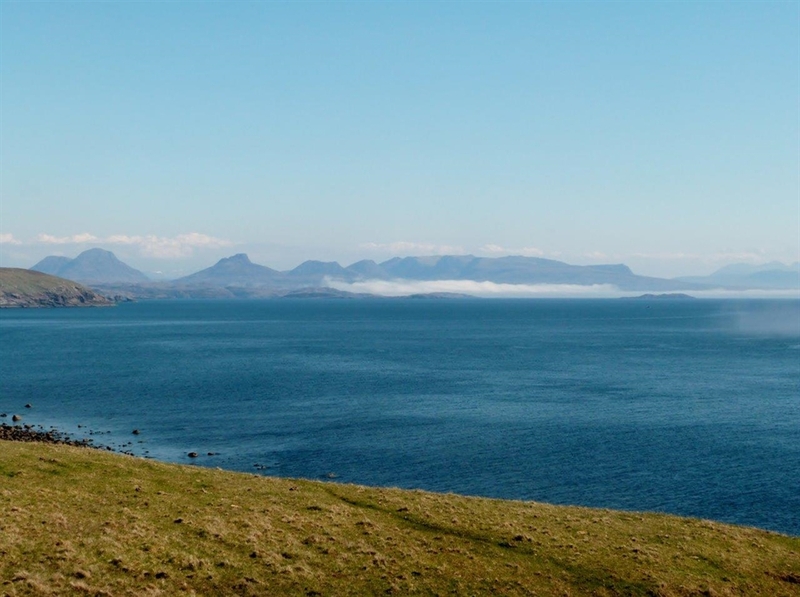 If you prefer the quieter life, you can just sit and view the coast and mountains in the view from the garden bench with a cuppa, or maybe take a few minutes leisurely walk to go fly fishing by the quiet haven of Loch Cul Froaich. There are several nice walks of various lengths you can do from the cottage front door, from a few hundred yards to the whole Stoerhead circuit of around 10 miles. If you like mountains, there are plenty of interesting challenges to be found within 30 - 60 minutes drive. 4 beautiful sandy beaches are found within a very short drive: spectacular Achmelvich, Culkein, Clachtoll or Clashnessie. Both Clachtoll and Achmelvich are popular for swimming, canoeing and windsurfing and Achmelvich has wonderful rock pools at low tide. A day out could take you further north to Oldshoremore or even Sandwood Bay, both extensive expanses of north Scotlands famous white sand. Several of the beaches have ranger huts with information about what you might expect to see in the vicinity. 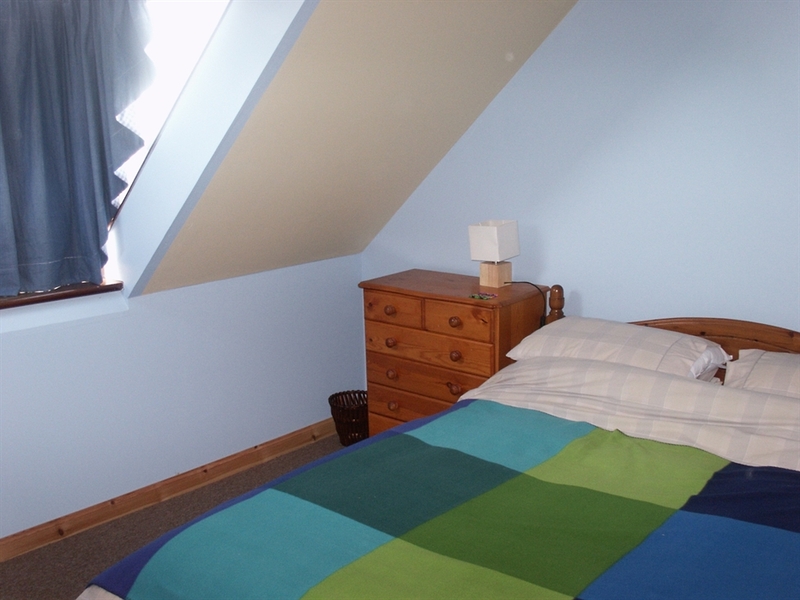 Downstairs there is a comfortable living room with a TV and DVD, a well equipped dining kitchen both rooms with log burners (logs provided), and a shower room with a WC and basin, and a good-sized hall with plenty of hanging space. Upstairs is a bathroom with WC, basin and bath and a spacious landing, either end of which are a double (king-size) and a twin bedroom. Good quality, all-cotton bed linen and towels are provided.